Learn how to install our products by watching these instructional videos. In this tutorial, we show you how to install a light kit on a Yamaha model G22 golf cart. In this tutorial, we show you how to install a lift kit on a Yamaha model G22 golf cart. These tutorials correspond with our “How To Video Series” found at www.golfcartsunlimited.us and are for clarification purposes only. 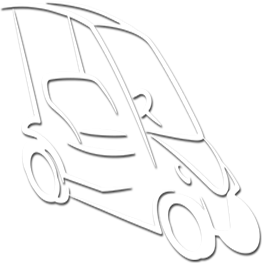 Golf Carts Unlimited assumes no responsibility for personal or property damage, injury, or loss of life that may result from attempting installations on your own. Please install at your own risk. Always follow the manufacturer’s installation directions whenever installing a part or performing a service to your cart. Refer to your cart's Owner’s Manual for further guidance and information. Performing service or installing parts on your cart is potentially dangerous. Review the procedures to be performed before starting the project. Identify any personal safety equipment needed to do the project, Safety Glasses/Face Shields, Gloves, Protective Footwear, etc. Always wear appropriate personal safety equipment when installing a part or performing a service on your cart. Working on your cart should be a fun and gratifying experience, not a trip to the hospital for an avoidable injury.